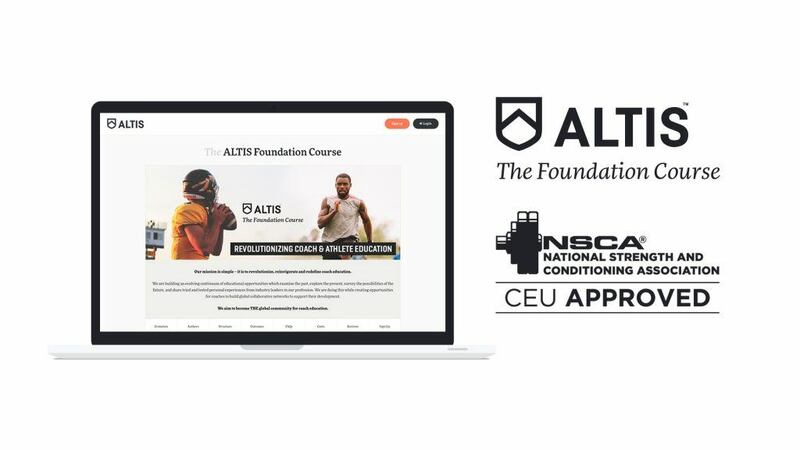 Welcome to the ALTIS Foundation Course, and congratulations for taking the next step in your education to better yourself as a Coaching professional. We are truly excited to share the contents of this course with you. You now have lifetime access to this curriculum, the contents of which have been thoroughly researched, and represent the product of decades of work, study, experimentation, and scientific exploration. In order to help you progress through the course as effectively as possible, the material is broken up into 12 modules. All modules are now live for you to start working through, in series. However, to progress onto the next module in series, you will find a multiple choice test which needs to be completed. The pass mark is 80%, and the test can be retaken if this mark is not achieved on the first go. If you have purchased full course access with all 12 modules, you do not need to do anything more than work your way through each module in turn now. If you have chosen to purchase the course by Semester you now have access to the first four modules only. In this instance, we will show how to purchase the next Semester in a few simple steps after you have completed Semester 1. 12 modules of bespoke content, featuring 109 sections written by some of the most experienced Coaches in Performance Sport. 140 hours of guided learning content including further learning materials and resources. 10% savings on Apprentice Coach Program (ACP) enrollment, because we’d love for you to join us onsite, and see us put the principles discussed within this course into practice. NSCA recognition, with the bonus of 2.0 CEUs in category D, for certified individuals who successfully complete the whole course; representing the maximum level of CEUs that can be awarded in any single activity. If you have previously purchased the first Semester only, please email us to unlock Semester two and three. As of April 2019, we are only offering the course as a whole. We’ve got a great group of coaches who are taking both this, and other ALTIS Courses. Our private Facebook group – ALTIS AGORA – is where you’ll swap ideas and talk shop. Plus, ALTIS Staff members will be there to answer questions and lend a helping hand. We’d really appreciate if you could take a minute to visit the page and introduce yourself to the ALTIS Community before you get started. All that’s left to do now is get started with Module 1, and work through each section and Module in turn. We’re looking forward to sharing decades of experience with you, and being part of your coaching journey. If at any point you need help with anything course related, please feel free to email our Education Director – Ellie Spain – at e.spain@altis.world or leave us a message on the ALTIS AGORA Facebook Community Page.